Glitch in bringing Makandure Madush to SL! The Foreign Affairs Ministry and Defence Ministry are currently in talks with the Dubai authorities regarding the extradition of four notorious criminals including Makandure Madush who is wanted over many grave crimes in Sri Lanka. However, it is reported that the two countries have not signed an extradition treaty which is essential in having a suspect arrested in Dubai, extradited to Sri Lanka. The two countries had signed the agreement on April 29, 2002. Prof. G.L. Peiris who was the Foreign Minister at the time had signed the agreement on behalf of Sri Lanka. However, its been 17 years since the agreement was signed, but no government had taken steps to present it to parliament. The local authorities were unable to have former Ambassador to Russia, Udayanga Weeratunge extradited to Sri Lanka from Dubai last year, despite Interpol red notice being issued against him, due to the same reason. Therefore, a group of senior police officials have met with the President and notified him that diplomatic level talks need to be initiated between the two countries in order to have the 22 suspects, including Makandure Madush to Sri Lanka. According to the police, Madush and group had been in hiding in Dubai, knowing well that the extradition laws do not exist in Dubai. However, it is reported that the Dubai Police would take legal action against Madush and group who were arrested during a Sri Lanka-Dubai joint operation over the cocaine and drugs found at the party during the raid. It is reported that subsequent to questioning of the 25 suspects, including Madush, they are scheduled to be produced in court today (07). Meanwhile, during the parliament meeting yesterday, Prime Minister Ranil Wickremesinghe, responding to a question raised by JVP-MP Dr. Nalinda Jayatissa said a detailed report would be submitted in this regard very soon. The Dubai courts have the authority to take a final decision, despite appeals made by Sri Lanka. He noted that Dubai courts would take action with regard to Madush and the group. 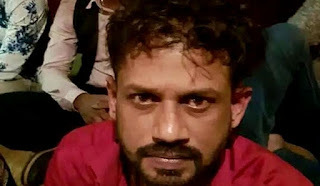 However, according to Police Headquarters sources, the Dubai Government or the police have so far not notified Sri Lanka regarding the arrest of Madush and group.